Customization is extremely important to me and the disk bound ARC system allows me complete freedom to remove, add, expand and go crazy. I don't have to buy special coil clips to add pages, folders and dividers. I can remove pages for ease in decorating my monthly and weekly layouts then pop them back in. The original disks are about an inch in diameter and are embellished with a heart shaped cutout. Expansion disks in all of the colours that MAMBI offers are available. If you don't like the options available, you can buy ARC disks in a wide variety of sizes, colours and materials. 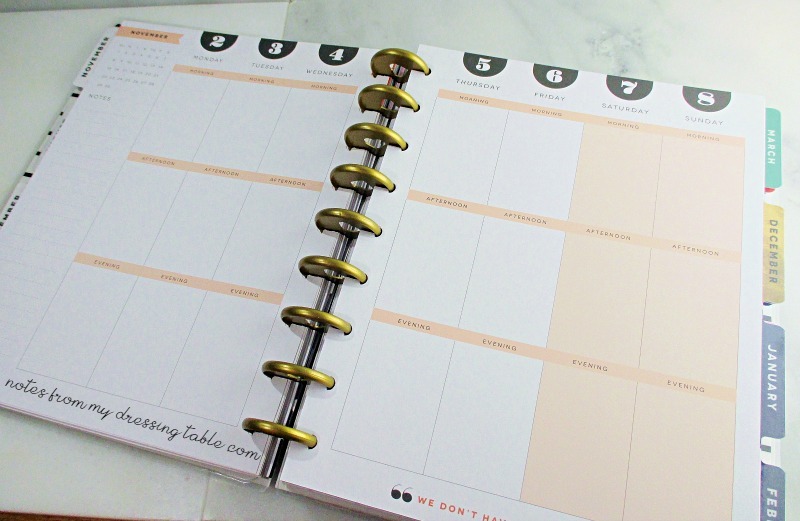 As my planner has expanded, I was able to easily replace the disc rings that came with it for larger ones. The only disadvantage of the disk bound to coil bound is that the disk bound is slightly less smooth and there is a small learning curve to opening, closing and flipping the pages around. Once you get the hang of it, there's nothing to it. Open the cover and you will find a hello page where one can write their name, address and so on. This page is not my thing and I removed it. All of the dividers have tabs with the months printed on them. In the earlier planners the tabs were not laminated. My Happy Planner has laminated tabs. The tabs are coloured on top, white on the back side. I did a collage of some of the dividers in this planner. 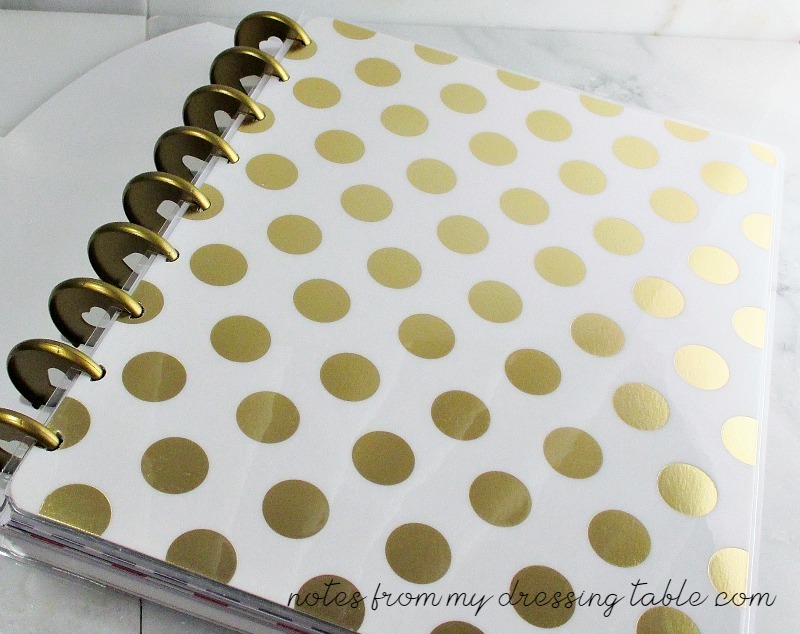 Here, I believe you can get a sense of the Kate Spade-esque aspect of this planner and why it so strongly appeals to me. 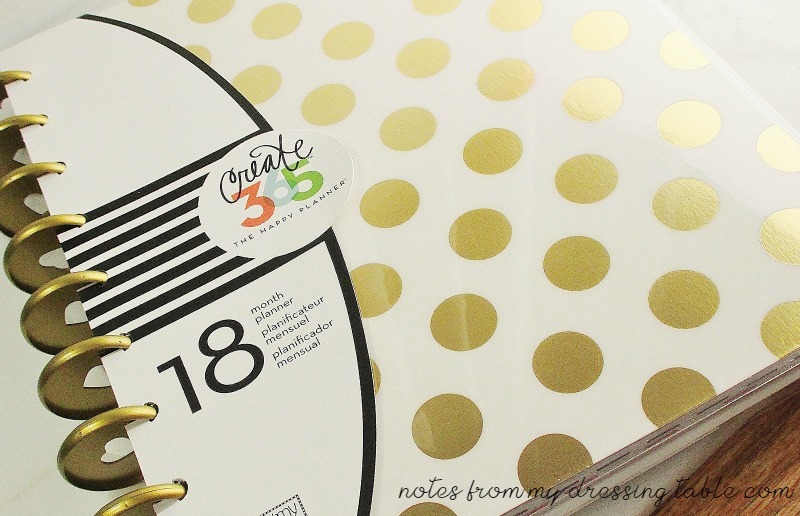 I love the dots, stripes, inspirational sayings on some of the dividers and the interior colour scheme is so beautifully coordinated and cheerful without being overdone. The organization and planning features are very well thought out and help me keep my stuff in line. 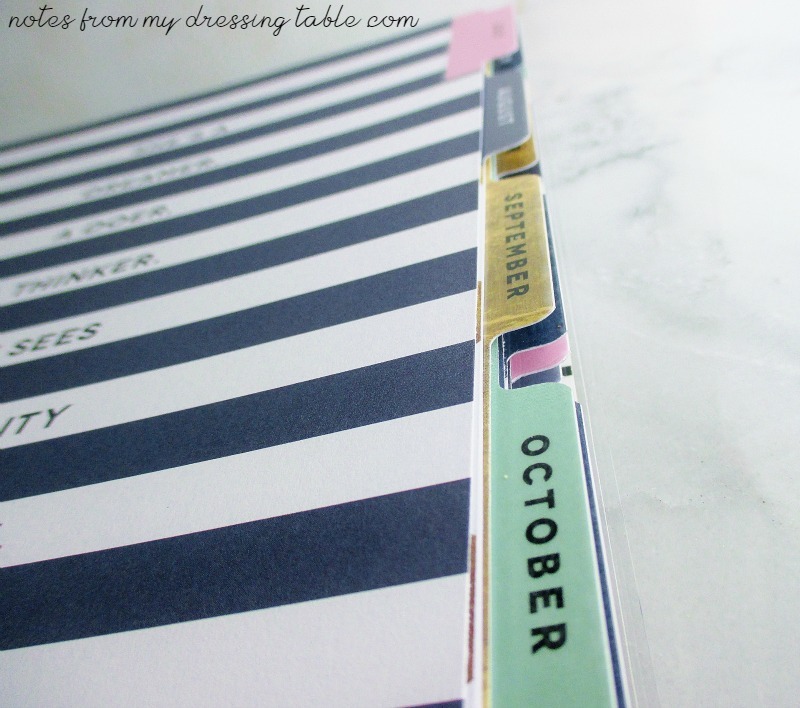 At the beginning of each month there is a monthly quick glance page where I can jot down birthdays, goals, anything I don't want to forget as it comes to mind and it is helpful as I do my monthly and weekly layouts. The monthly layout is calendar style. Sunday to Saturday. 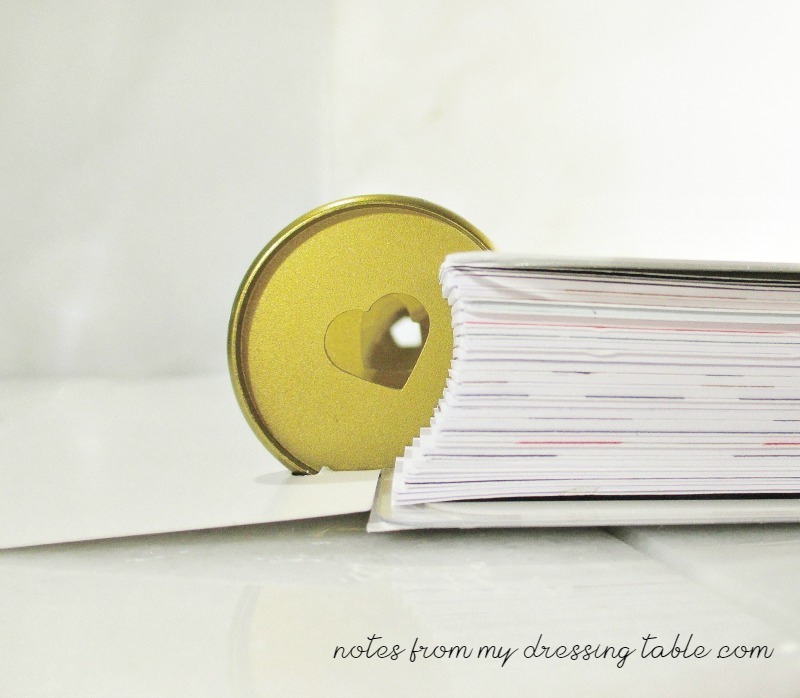 The boxes are spacious enough to accommodate decor, notes and doodles. Evocative of each month is a colour scheme that carries through all of the pages and coordinates with the divider assigned to it. The weekly layout runs Monday to Sunday with the weekend in a block, together. This is a vertical planner with each day divided into morning, afternoon and evening. I don't find these designations helpful and I use the dividing lines as guides for washi tape. The boxes are, from what I have read a little larger than those in the Life Planner. 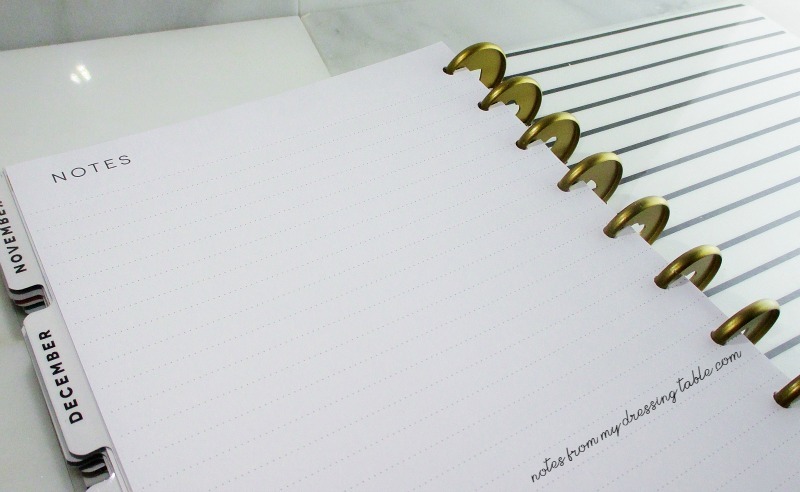 At the end of the planner is one sheet of note paper. One. Sheet. Really? Needless to say, I purchased a pack of note paper for this planner! You can also see the inside of the back cover. The inside of the front cover matches. We have reached the end of our tour with the back cover. A Create 365 logo loves here and I'm not thrilled with it. I need to get a sticker that will cover it. 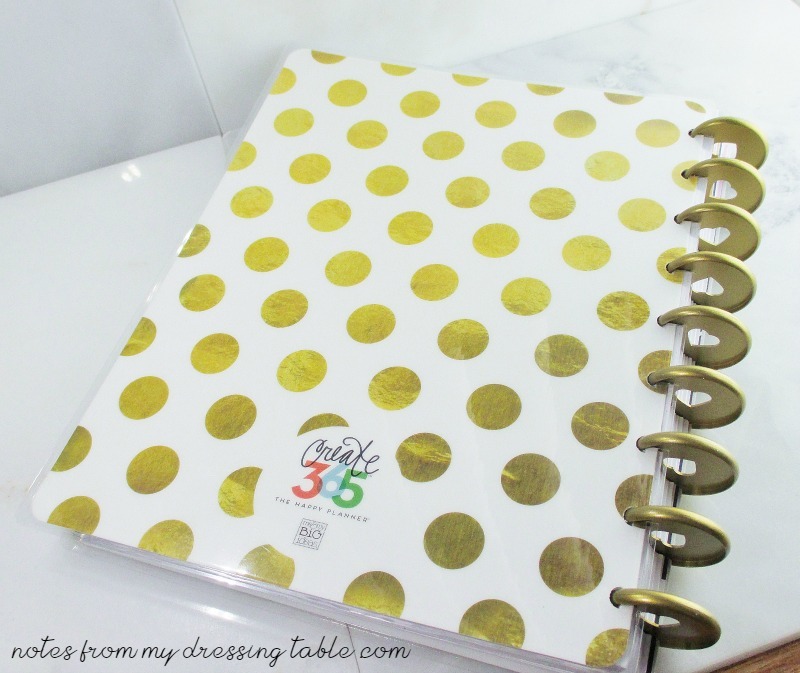 So, what do you think of the Me & My Big Ideas Create 365 Happy Planner? 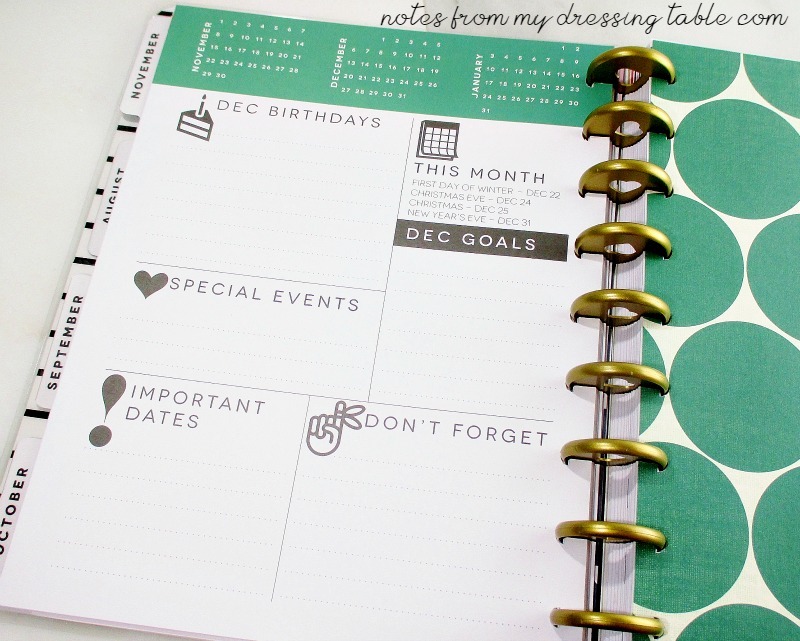 Does it look like a planner that could work for you? If you're interested in making it a part of your better organized life, you can buy it from Amazon and in store and online from Michael's craft store. If you want to buy your planner from Michael's get a coupon and save. I ordered mine from Amazon before I realized that I could have popped in to Michael's and gotten it right away and for a bit less moolah. MAMBI has tons of fun accessories, inserts, stickers and washi all at affordable prices to help you personalize and embellish your planner to your exact specifications. There are also many online shops where you can get stickers, washi, cute clips and pens... The possibilities and options are endless. I'm just getting started! 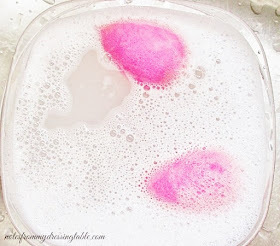 I'll share more about all of this in my next planner post. 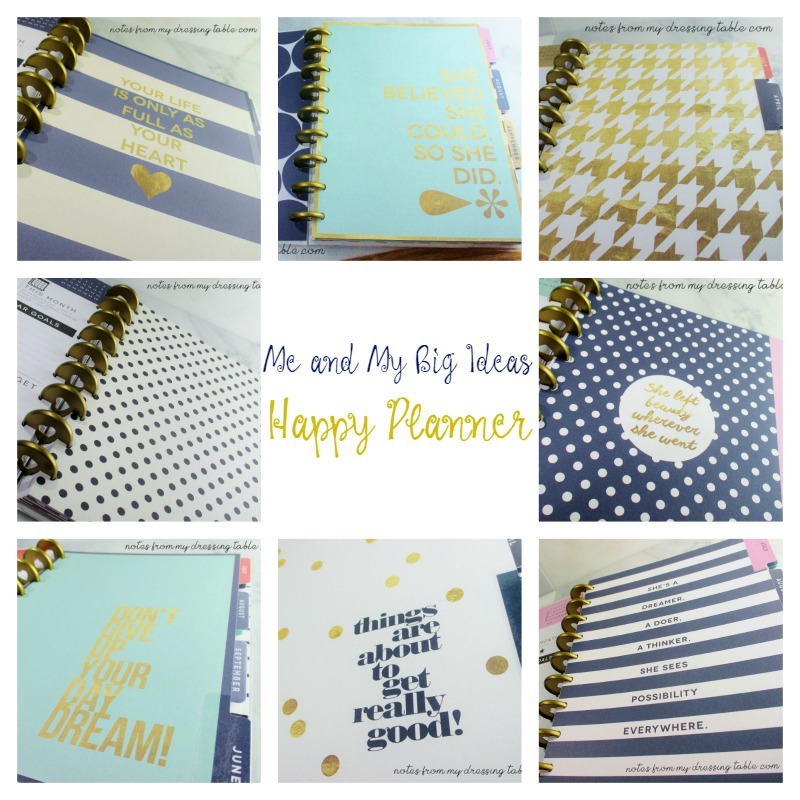 Are you a #plannergirl? 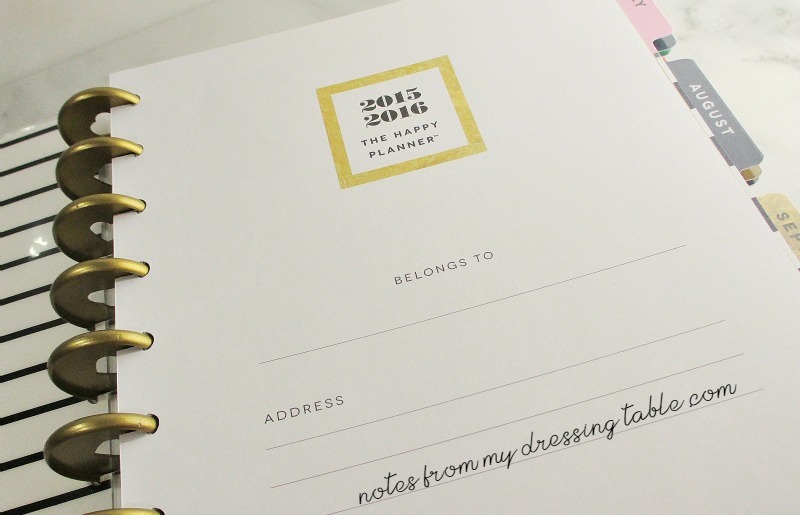 Which planner is your ticket to the organized life? 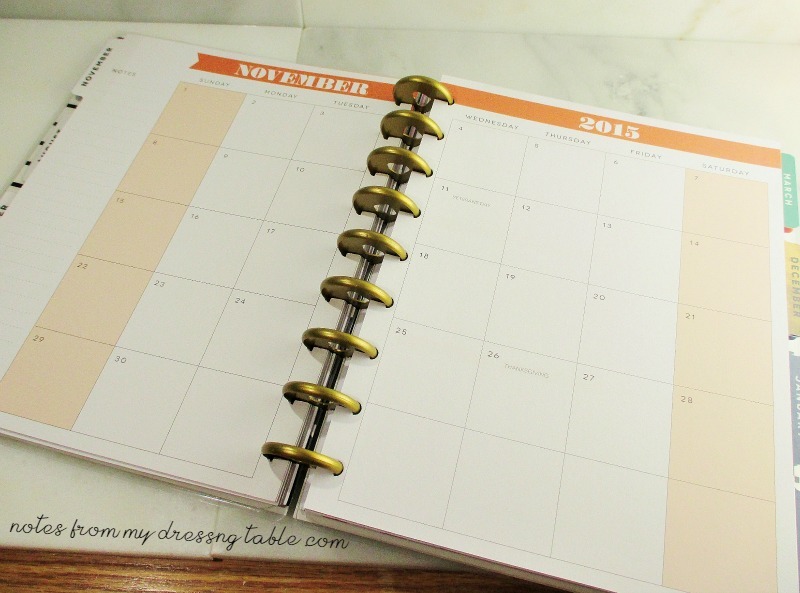 Now that I have my desk planner, I need a great handbag planner. 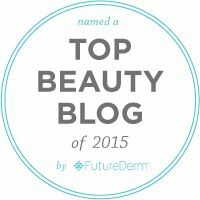 Any suggestions for a fantastic purse size planner that won't break my budget, is versatile and great to look at? Tell me what you like. Enable me.